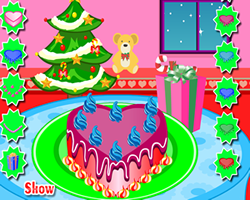 Description: Are you ready to make some icecream with the help of your favorite monsters? Then you are in the righ place. Learn to make a delicious icecream recipe that you will be proud of. And your favorite monster, Draculaura, is here to help you and to make sure nothing goes wrong. Finish the recipe and decorate the icecream with some delicious biscuits, cream and fruits and the final result will be mouthwatering. Good luck!